Emma Morgenstern is a freelance radio producer based in New York and an alum of the radio program at the Salt Institute for Documentary Studies. She is also the associate producer of Ray Brown's Talkin' Birds, an interactive show about birdwatching out of the Boston area. 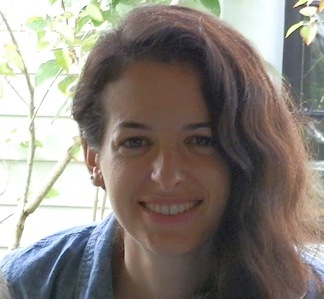 With an academic background in linguistics, Emma has studied Yiddish, Judeo-Spanish (Ladino), Hebrew and Spanish. She likes to cover religion, food, and culture in her radio reporting. For nearly 100 years, the Streit’s factory has been making matzo on the Lower East Side. But now Streit's is shuttering its flagship matzo factory in what was once the center of Jewish immigrant life in New York. If there's one woman who knows authentic Syrian cuisine, it's Poopa Dweck. The cookbook author from New Jersey is an expert on Syrian Jewish dishes. When the Nazis wiped out Jewish life and culture during World War II, it was hard to imagine it would ever come back in Poland. But it is starting to return. Though it's not Jewish people who are leading the way.